We have seen defibrillators in action at the movies because they play a life-saving role. First, an actor has an apparent heart attack and their heart stops beating. Next, a medical technician applies two pads to their chest. The patient’s back arches before they fall back. Then, the heart machine starts beeping and there are smiles all round; another life is safe. All of this may perhaps be thanks to batteries with a heart in defibrillators. That said, our interest is entirely in batteries. Therefore we are not medical people. We only sell deep-cycle, sealed lead-acid batteries and these are streets away from what defibrillators require. Hence, nothing we say here constitutes medical advice. 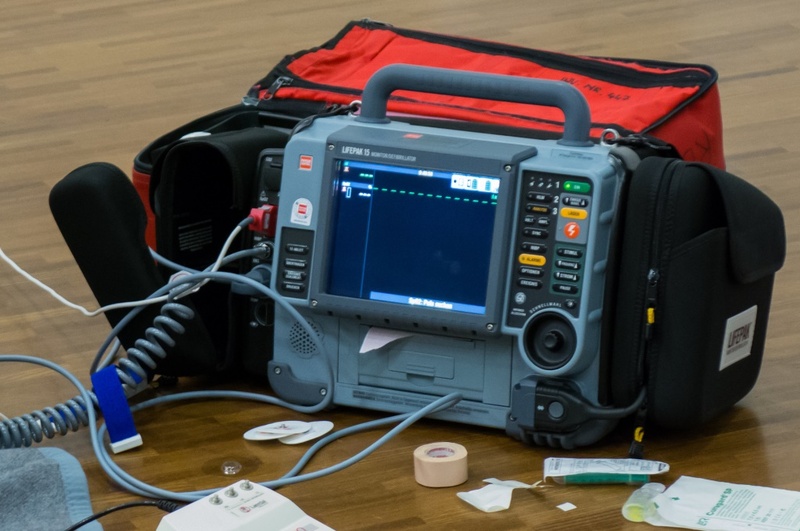 If you do not have training and a certificate you should not go near a defibrillation device. If in any doubt, please consult a specialist who is competent to provide expert training and advice. Having said that, a defibrillator delivers a high-energy electrical shock that restarts the heart. But nobody is quite sure exactly how this works. All that is known is that it restarts the heart, and that’s the main thing. Defibrillators get their electricity from one of two sources. This is either from 110-volt AC mains electricity, or from DC batteries for use at emergency sites. Defibrillators need clean, reliable power that can very rapidly accumulate in their capacitors. This can be anywhere between 200 volts and 1000 volts, at 360 joules, and 45 amps. The shock lasts for approximately eight milliseconds. After that, the capacitors need to accumulate a fresh charge. 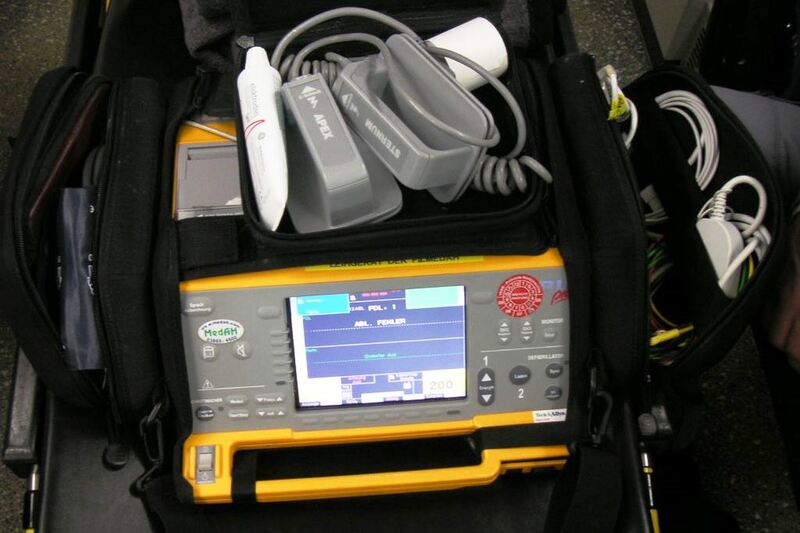 Portable defibrillators use rechargeable lithium-ion batteries, These may be of the order of 11.1 volt, 4.8 amp-hour, and 5.3 watt-hour capacity. Fully charged batteries with a heart in defibrillators may be able to deliver 261 by 200-joule shocks or 600 operating hours. But treatment is critically urgent because survival decreases by 10% every minute. Watch this video about Swedish institute delivering defibrillators using drones.